The European Union has stepped in on behalf of Asia Bibi – the Christian woman on death row for blasphemy in Pakistan. 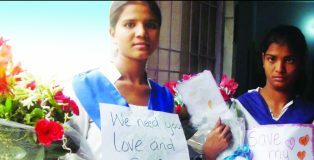 MUM ASIA BIBI on death row in Pakistan for speaking up for Christ has won a last chance to appeal her sentence. A YOUNG WOMAN HAS SADLY DIED following the 2013 Peshawar bomb attack.